Adam Lambert is returning to Fox. 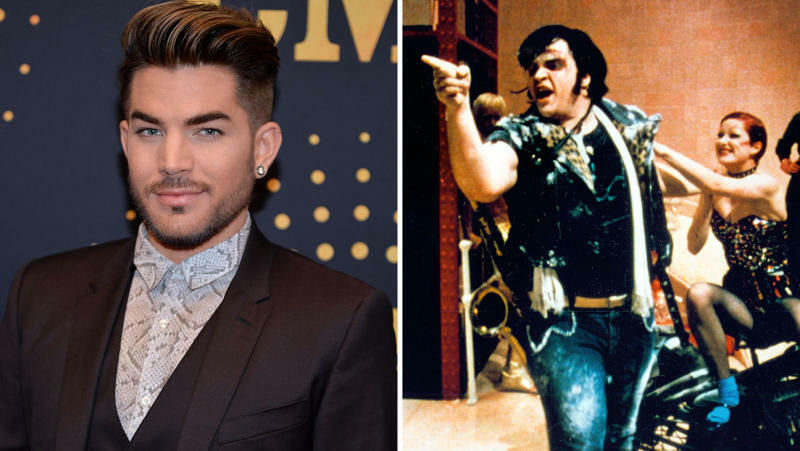 The American Idol and Glee alum has been tapped to co-star in the network's rendition of The Rocky Horror Picture Show, The Hollywood Reporter has learned. Lambert will take over the role of Eddie originally portrayed by Meat Loaf in the cult 1975 film. Eddie is the rock 'n' roll-loving ex-delivery boy who emerges at Dr. Frank-N-Furter's on a motorcycle and crashes the party. Lambert's name was one of the first to surface for a role in Fox's Rocky Horror. Sources tell THR that he was originally considered for the role of Frank-N-Furter that was originated by Tim Curry. Orange Is the New Black actress Laverne Cox will take on the iconic role in the TV adaptation. Lambert joins a cast that also includes Victoria Justice and Disney star Ryan McCartan as Janet and Brad, who stumble upon Frank-N-Furter's self-described "sweet transvestite" and the scientist's bizarre castle. The roles were originated by Susan Sarandon and Barry Bostwick. Penny Dreadful alum Reeve Carney will play Riff-Raff, and singer Staz Nair will portray Rocky Horror. The two-hour Fox special, due in fall, will be directed, executive produced and choreographed by Kenny Ortega (High School Musical) and filmed in advance. Ortega, Gail Berman and Lou Adler, who produced the original film, are attached as exec producers. The new Rocky will be produced by Fox 21 Television Studios and Berman's The Jackal Group. Lambert is repped by CAA and Direct Management.